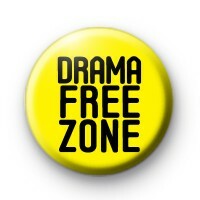 Get your hands on this bright yellow Drama Free Zone Badge. Its like a warning sign for all the people in your life that like to bring the drama to your door. Its also a little sassy and we like being direct, right!